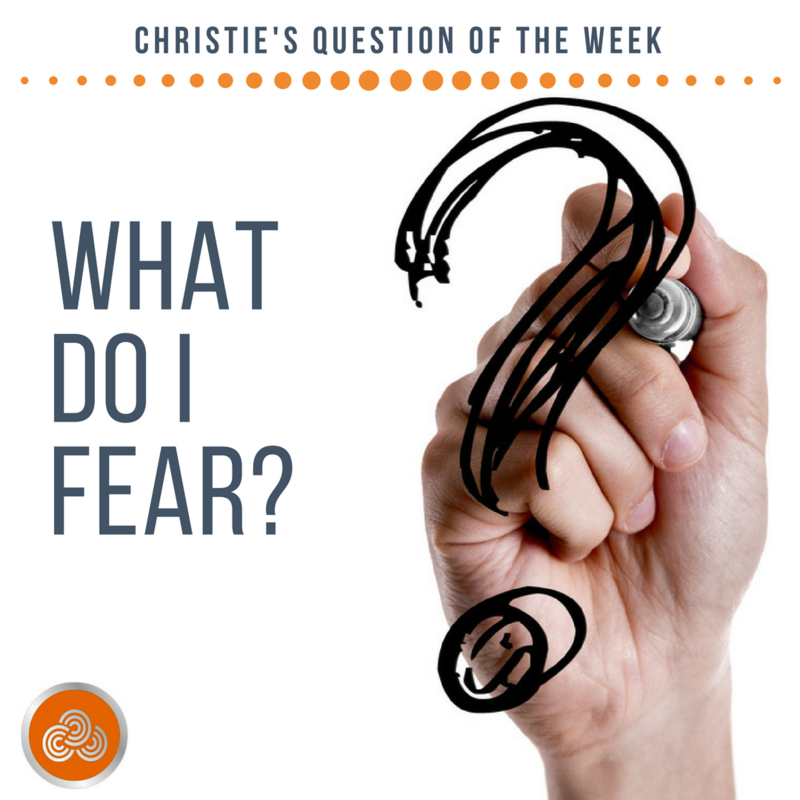 Question of the Week: What Do I Fear? Powerful coaches, The feeling after a good workout, The Hydro-Massage beds at Planet Fitness, Sleeping late, Sending my daughter home with lots of leftovers, Laughing at the antics we remember from the night before, My incredible diverse, amazing and fun group of friends, My husband and his quirky sense of humor, My sister and her sage advice, A good drink, The way the surface of the water looks when its raining during a scuba dive, The moment someone realizes they are capable of much more than they realized, The moment I realize I am capable of much more than I thought. Those were just a few of the things that I love and it was amazing the clarity I developed just because I sat down with intention each day to document them. My follow-up question for those of you who played along: How are you honoring the things that you love? Are they getting the attention they deserve or are you just too busy with other things that do not really matter? Now, I’m excited to see what will happen when we tackle a different type of question this coming week. What do I fear? I love the definition of fear listed above. Isn’t it amazing how often we face our fears only to realize that they were completely irrational in the first place? How are your fears holding you back? What do you fear? Pretty silly when you think of the fact that public speaking is still the number one fear for most people. It is also one of the easiest ways to get ahead in the corporate world and gain the respect of your peers. Public speaking also has virtually NO actual danger associated with it, unless you count being judged by others. The only way to get over a fear of public speaking is to do it…over…and over…and over again. So what do I fear? This week, you are approaching it the same way as last week. Write down three things you fear each day and see what you discover. I’m interested to see what I have for you at the end of the week. Share your story. Share your observations. Let’s see if we can tackle our fears together. Question of the Week: How Will You Finish?